People call them the “Dead Marshes”, but that couldn’t be further from the truth. The marshes are in fact incredibly biodiverse and productive. Admittedly that productivity has a lot to do with the slow decomposition of the corpses of men and elves, but they are productive nonetheless. The marsh vegetation also plays an important part in detoxifying the ecosystem. There is a slight problem with the level of mithril contamination in the marshes, but there are several marsh plants that sequester this trace element. The marshes are also important sinks for carbon. 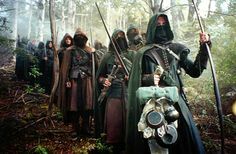 Climate change is increasingly a concern in Middle Earth, what with the dramatic rise in dragon-related emissions and the felling and burning of Fangorn Forest, not to mention the carbon dioxide plume from Mount Doom. Now many might think that the life of a ranger is all sneaking around and battles, but we are actually doing some excellent work on interpreting this ecosystem. With the help of some work-release cave trolls, we are putting an expansive system of board walks in the marshes, and next month we will be opening two wetland bird hides. My dream is to have an interpretative center that caters to tourists from both Gondor and Rohan. 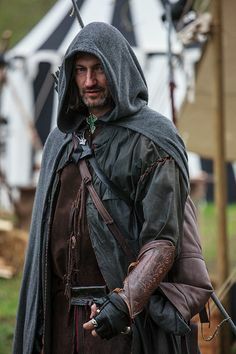 This summer we have a multi-cultural summer camp with some orc youngsters from inner Mordor, with a group of hobbit children all the way from the Shire. There will be hikes, camping, team-building exercises, and lots and lots of picnics. Protecting the species of the Dead Marshes is much harder than other areas, however. Those working to save the oliphaunt, though I wish them well, have it easy. Everyone loves charismatic megafauna, especially mammals. But when it comes to terrifying megafauna, it’s much harder to get funds. We are trying to incubate nazghul eggs and hopefully captive breed a population that we can later release into the wild. But it is very difficult to raise funds for a species that devoured people’s relatives and destroyed their cities. And if it’s hard to get the public to be concerned about the large reptiles, imagine how hard it is to get them to care about the invertebrates. We have so much work to do rebuilding and restoring the Mirkwood spider population, but giant spiders are just not cute and furry, like wargs. Nevertheless, the life of a ranger is extremely rewarding, and I would highly recommend it for anyone with a hankering for lots of work in the open countryside, who want to do their part in conserving biodiversity! Did monster hunters find a 120 meter long giant squid on google maps?